Peck's dulcet tones and neo-country sound have earned him a Qobuzzisme. The album cover is intriguing; Stetson on his head, mask over his eyes and tasseled veil on the mouth. 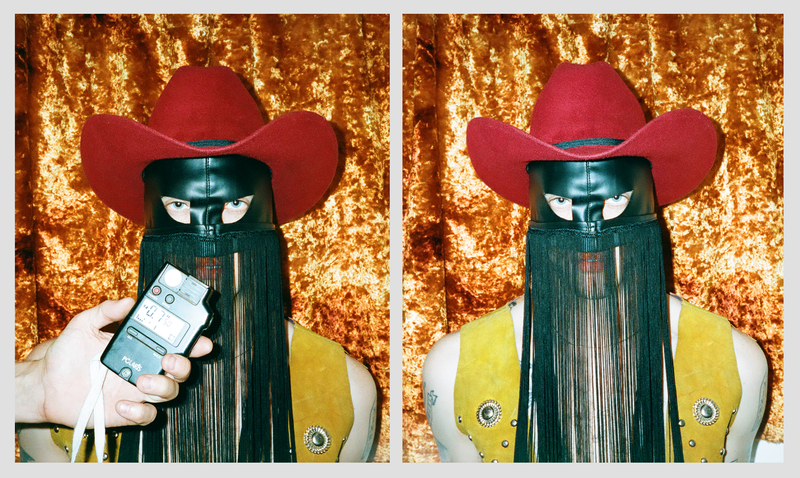 Orville Peck comes across as yet another ‘masked avenger’, camouflaged, helmeted, hidden, ready to join Daft Punk, Cascadeur, The Residents, MF Doom and other SBTRKT. Basically, the man has the appearance of a cowboy escaped from one of David Lynch’s dreams. He’s a kind of improbable version of the Lone Ranger, the fictional character who appeared in a radio soap opera in 1933, then in a television series fifteen years later: A true icon of American pop culture ... When Peck finally opens his mouth, his voice is that of a timeless crooner. There is a touch of Elvis, Roy Orbison, Chris Isaak, Lloyd Cole and Marlon Williams in this typical lover-voice that Orville Peck never overdoes. With Pony, his debut album and Qobuzissime under the excellent label Sub Pop, this mysterious man of unknown origin and unknown age, connects staggered romantic ballads and dreamy laments. Great songs are draped in production where reverb, twang guitars, cotton drums and impressionist steel-guitar reigns. It’s like country and shoegaze after a torrid night of love. Broken hearts, deserted motels, infinite highways and faded western landscapes, this is a beautiful record that reveals Orville Peck to be the talented painter of a fascinating picture. All that’s left to do is close your eyes and dream with him.